What is Voltmeter and what is it works? If you are interested in the works of electronics repairing and mobile repairing then you must know about voltmeter. You should know what the voltmeter is, what are the work of voltmeters, how many types of voltmeter is, and how to use the voltmeter. If you do not know about Voltmeters, then read our post. Voltage meters are used to calculate volts on any particular point in any electronics projects or electronic circuits. However, the need for measuring volts falls in both electrical repair and mobile repair, but it is also used in some electrical equipment (eg stabilizer). 1- What kind of voltmeters is there? Types of voltmeter: Based on the usage, the voltage meter is of 2 types. 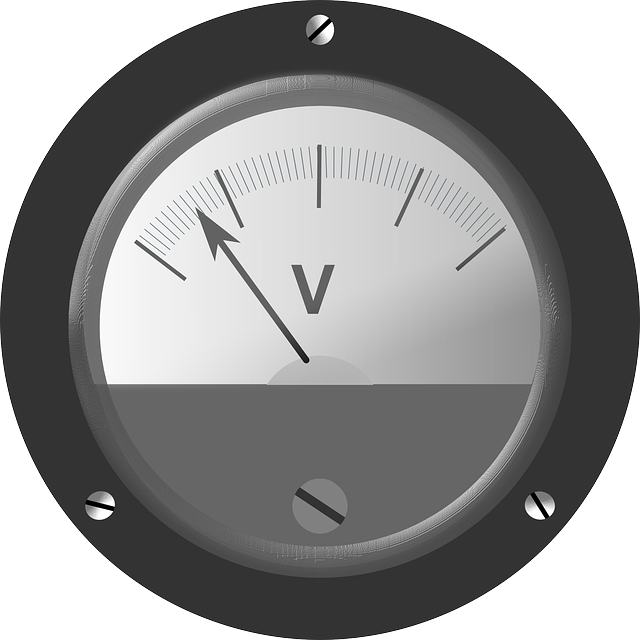 The voltage meter in which the needle is needed to read volts when measuring volts is called analog voltmeters. Most people are required to measure up to 250V, so a voltage meter is made from dial 0v to 300v. When volts are measured from the voltage meter, the needle of the meter stops at the number on the dial, as the voltage is being measured. In most electric devices, the voltage meter with capacities of 0-300v is mostly used, so if you have to measure the voltage of more than 300V then you have to buy a voltage meter with a voltage range as per your requirement from the market. One thing to note is that whenever a voltage meter is working, it also consumes some power. Also be aware that any voltmeters needs at least voltage to work. If it is given directly in the AC supply, then the meter will burn in full time. Therefore, for sending the voltage of the low voltage to the coil of the analog voltage meter, there is also a resistance of 10w. The resistance of the analog voltmeters are 10KΩ i.e. 10,000 ohms. How is the voltage measured from analog voltmeter? To measure volts from analog voltmeters, both the connection wire of the meter is applied in parallel to the point being measured. To understand the analog voltmeters connection, you can also take the image of the analog voltmeter circuit diagram below. In the above analog voltmeters diagram image, you can see that a 100w bulb has been given an ac supply of 220v. And the way the bulb has been supplied, the voltmeters has also been supplied in a way. Now your electricity will be stopped by going to the number of meters on the needle dial as much as the voltage will be. The way the connection of the voltmeters are done here is only the parallel connection. (B)- Digital Voltmeter working principal – What is a digital voltage meter? The voltage measured in the voltage meter is shown on the screen of the display, it is called the digital voltmeter. If you feel the trouble reading the readings on the analog volts meter, then you can buy digital voltmeters. In this meter, the voltage measured by you is displayed as the digit which can easily be read and read at a glance. How is the voltage measured by the digital voltmeter? Both a digital voltage meter and analog voltage meter have the same function and both are used in the same way. To measure volts from digital volts meters, the meter is also applied in the circuit in parallel order. You can understand the digital voltmeters work in the digital voltmeters circuit diagram below. 2- What kind of voltmeter is based on the texture? Voltmeters design: The digital and analog voltage meter we have described above was based on the technical textures of a voltmeter. But many devices are different and they can not be used in the same type of voltmeters. Therefore, on the basis of external texture, there are 2 types of volts meters. (A)- What is the goal voltage meter? On top of the voltage meter, we have shown in the circuit diagram of the analog voltmeter is the shape of the round, so that is the goal voltage meter. Around voltage, a meter is used in the instrument which is made in the round space to place the voltmeter in the electric device. Both the analog and the digital voltmeters come in round shape. (B)- What are the square voltmeters? The voltage meter we have shown in the circuit diagram of the digital voltmeter is the size of the square, so it is the square voltage meter. The quad voltage meter is wired in the instrument which is made to construct a voltage meter in the electric device. Both analog and digital voltmeters also come in square shape. It was a basic information of voltmeter but apart from this, it comes in a variety of designs and sizes. But you can see the type of voltage meter used in a particular electrical device. 3- What kind of voltmeters are based on current? Electric current is of 2 types – DC current and AC current. In both the current, there is a difference of sky and ground, and the voltage of both currents cannot be measured by the same voltmeters. Therefore, on the basis of the current voltmeter also has 2 types. Ac voltmeter is used to measure a voltage of AC current. Generally, AC volts meters are used in an electric device. Because our electric current is ac current, that voltage is measured with the ac voltmeter. In addition, the AC voltage meter is used to measure the AC voltage in an electric device. AC voltage meter also has the following 2 types. The DC voltage meter is used to measure the voltage of the DC current. Since the power of our home is ac current, it can not be measured by the dc voltmeter. The DC voltmeter is used to detect the voltage of the cell and the battery because DC current is present in both the cell and the battery. Apart from this, DC volts meters are also used to measure DC volts in different types of electric appliances. Since mobile DC works on current, the DC voltmeter is also used in the mobile repair. Since the battery is (+) and (-), so also in DC voltage meter (+) and (-) occurs. But remember one thing that does not measure AC volts at DC volts meters, it can also be damaged by burning meters. The DC voltmeters also have the following 2 types.